The word "science" is derived from the Latin word scientia, which is knowledge based on demonstrable and reproducible data, according to the Merriam-Webster Dictionary. True to this definition, science aims for measurable results through testing and analysis. Science is based on fact, not opinion or preferences. The process of science is designed to challenge ideas through research. One important aspect of the scientific process is that it is focuses only on the natural world, according to the University of California. Anything that is considered supernatural does not fit into the definition of science. Reproduce the experiment until there are no discrepancies between observations and theory. “Replication of methods and results is my favorite step in the scientific method," Moshe Pritsker, a former post-doctoral researcher at Harvard Medical School and CEO of JoVE, told Live Science. "The reproducibility of published experiments is the foundation of science. 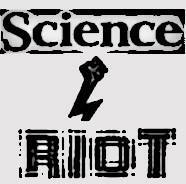 No reproducibility – no science." The hypothesis must be testable and falsifiable, according to North Carolina State University. Falsifiable means that there must be a possible negative answer to the hypothesis. Research must involve deductive reasoning and inductive reasoning. Deductive reasoning is the process of using true premises to reach a logical true conclusion while inductive reasoning takes the opposite approach. The scientific method and science in general can be frustrating. A theory is almost never proven, though a few theories do become scientific laws. One example would be the laws of conservation of energy, which is the first law of thermodynamics. Dr. Linda Boland, a neurobiologist and chairperson of the biology department at the University of Richmond, Virginia, told Live Science that this is her favorite scientific law. "This is one that guides much of my research on cellular electrical activity and it states that energy cannot be created nor destroyed, only changed in form. This law continually reminds me of the many forms of energy," she said. Laws are generally considered to be without exception, though some laws have been modified over time after further testing found discrepancies. This does not mean theories are not meaningful. For a hypothesis to become a theory, rigorous testing must occur, typically across multiple disciplines by separate groups of scientists. Saying something is “just a theory” is a layperson’s term that has no relationship to science. To most people a theory is a hunch. In science a theory is the framework for observations and facts, Jaime Tanner, a professor of biology at Marlboro College, told Live Science. 1200s: Robert Grosseteste developed the framework for the proper methods of modern scientific experimentation, Stanford Encyclopedia of Philosophy. His works included the principle that an inquiry must be based on measurable evidence that is confirmed through testing. 1500s: Nicolaus Copernicus advanced the understanding of the solar system with his discovery of heliocentrism. This is a model in which the Earth and planets revolve around the sun, which is the center of the solar system. 1600s: Johannes Kepler built upon those observations with his laws of planetary motion. Galileo improved on a new invention, the telescope, and used it to study the sun and planets. The 1600s also saw advancements in the study of physics as Isaac Newton developed his laws of motion. 1800s: Milestones included Alessandro Volta’s discoveries regarding electrochemical series, which leads to the invention of the battery. John Dalton also introduces atomic theory, which stated that all matter is composed of atoms that combine to form molecules. The basis of modern study of genetics advanced as Gregor Mendel unveiled his laws of inheritance. Later in the century, Wilhelm Conrad Röntgen discovered X-rays, while George Ohm’s Ohm’s law provided the basis for understanding how to harness electrical charges.